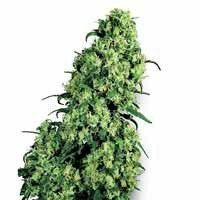 Feminized seeds are crossed to contain no male chromosomes, which ensures that all plants grown from feminized seed will flourish as a female and be able to produce crop resinated buds wanted for any grower. 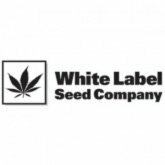 White Label Seed Company belongs to Sensi Seed Bank and was created to offer one of the cheapest prices for seed of the seed market. 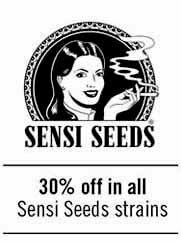 White Label offers a huge variety of the highest quality for the lowest possible price, senillas in packs of 3, 5 and 10 feminized seeds feminized seeds. White Label is a great choice for both new and experienced growers growers because of its good price and high quality seeds. Purple Bud is a crossing of Hindu Kush and Purple Kush, that flowers in 8-9 weeks with great crops. A strain with purple buds that wil give purple tones to your garden. White Skunk is a union of two families in just one plant: White and Skunk. A stain with a quick flowering time and huge crops. A nice option for those beginner growers, being an easy to grow, giving good and nice results. SantYerbasiadds White Label's Skunk#1 to its feminized seed catalogue. Skunk#1 is a classical strain at holland's coffee shops. A genetic that groups good yields, great quality and quick flowering. Master Kush is the answer from White Lbael seedbank to all those kush strain lovers. A quick flowering plant, resistant against pests, and medium yields. 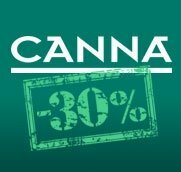 White label adds to its catalogue of comercial strains, the union of two of the most well known strains worldwide. White Skunk is a hybrid between the two most sold strains in Holland: White Widow and Skunk#1. Skunk Automatic is an autoflowering hybrid resultant of crossing a Skunk#1 with a selected cannabis rudelaris strain. White Label seedbank presents the feminized version of Super Skunk. Super Skunk is an evolution version of Skunk#1, with higher THC levels, better yields and a quite longer flowering time.